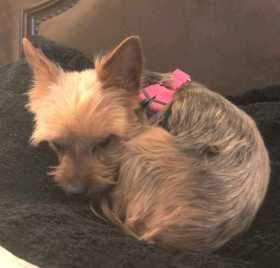 Small tinny yorkie female dog disappeared within minutes after walking out of the ground floor apartment at 2 am to the backyard at a small building complex. She never ever walked away. She may have been stolen .